If you're in the market for a high-quality pickup truck with tons of excellent features and high marks from various truck reviews, then we suggest taking a long look at the 2017 GMC Canyon for sale now in Scottsdale. Available with a wide array of upscale and powerful amenities, the Canyon has been a consistent choice for Valley shoppers looking for their next work truck. 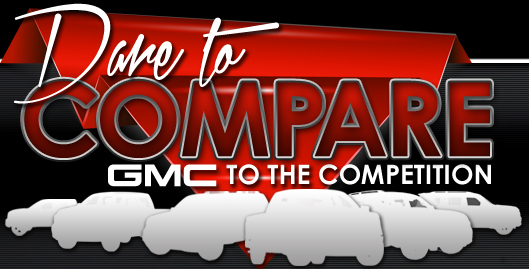 Take a look at our full 2017 GMC Canyon review below to find out more about this popular hauler. Shoppers will find several terrific options on the 2017 Canyon, including three body styles, two bed lengths and six trim levels. New for its latest model year is the Canyon's All Terrain X trim, which features the most off-roading gear the truck has ever seen, such as 17-inch aluminum wheels, a transfer case shield, a pumped-up suspension and all-weather floor liners. 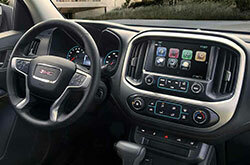 Drivers will also find that last year's late addition Canyon Denali trim, recommended by several 2017 GMC Canyon reviews, has carried over as well, offering everything from unique bright aluminum wheels, a heated steering wheel and full-color driver information center to an all-black interior and a signature chrome grille. All of this adds to the Canyon's list of standard features like automatic projector-style headlights, vinyl upholstery, daytime running lights and front bucket seats. Folks looking at the 2017 GMC Canyon in the Phoenix area will also find that there is a new powertrain option available on the pickup: a 3.6-liter V6 that makes 308 horsepower and 275 lb.-ft. of torque. On top of that, shoppers will also discover that a new eight-speed automatic transmission has also been added to the truck's roster, ensuring that it will continue to provide an exceptional level of power for whatever job or task you might have for the Canyon. Adding to the Canyon's terrific list of interior and exterior features is the pickup's list of top-tier safety equipment. Coming standard with everything from full-length side curtain airbags, a rearview camera and antilock brakes to trailer sway control and front seat side impact airbags, the Canyon offers a great deal of protection. Opt for one of the higher trims and you'll get even more advanced features like lane departure warning and frontal collision alert, so stop by Van Buick GMC today to discover which version of the Canyon is right for you! 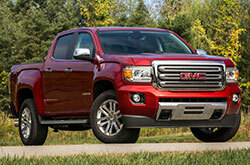 The GMC Canyon Is on Site! 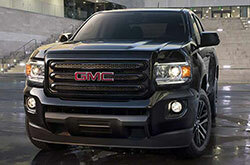 Don't just look at the 2017 Toyota Tacoma, Nissan Frontier and the Dodge Dakota when out browsing for a new car; also remember to view the 2017 GMC Canyon near Phoenix. 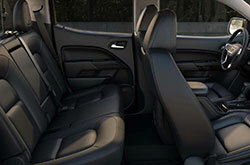 You may realize that its sleek looks and cabin amenities are just what you require in a daily driver. After you are finished our 2017 GMC Canyon review and check out the comparison tool, view factory incentives offered at Van Buick GMC. Visit us next time you're in the area if you're looking for a neighborhood GMC Canyon dealer with lease offers you won't want to pass up on. Our expansive review makes it easy and fast for you to get access to the facts and figures you need, and we hope it is useful when it comes to making a shrewd vehicle purchase. 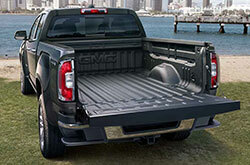 Browse our massive selection of GMC Canyon models online. 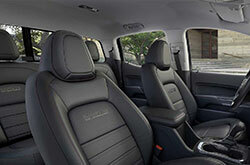 Then visit Van Buick GMC for a test drive. Are you anxious to see it preceding your visit? Check out the enclosed video to view its exterior.